Daytime workshops and foyer activity, stallholders and films day and night too. Not only do we have a packed event on the Playhouse Stage for you, we’ve also got some other stuff going on too, workshops from 1:30pm and exhibitions, stalls, and films in the foyer from 2:00pm. On Saturday 26th January we’ve two workshops that you can take part in; rapper sword dancing and clogging. At 1:30pm until 3:00pm we have three expert sword dance tutors and dancers to guide you through a basic rapper dance and its’ figures. You might even get to do some stepping practice too. Our tutors have been dancing with some of the best UK teams for many years and are happy to help share their skills and knowledge with you. 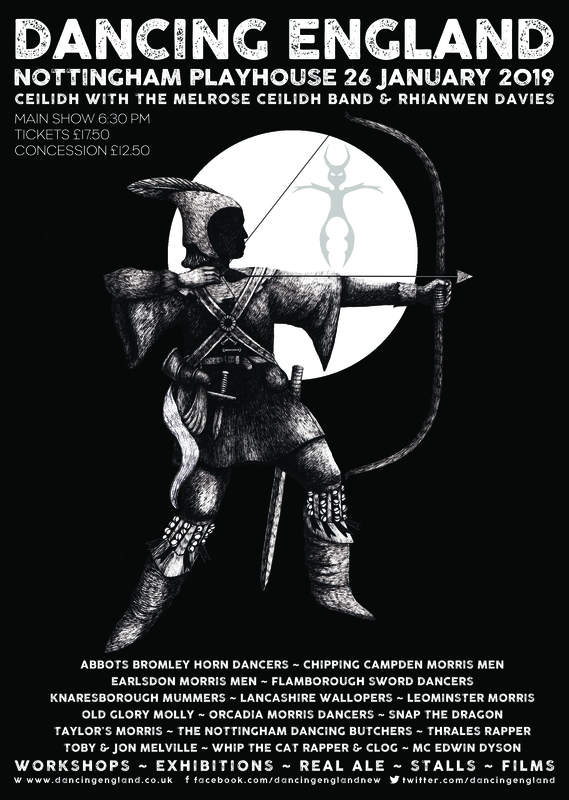 We’ve Vince Rutland from Sallyport Sword and Snark, Sue Rutland from the High Spen Pink Diamonds and Pengwyn, and Aubrey O’Brien, late of Addison Sword and Clog, the Gosforth Dancers and currently Stone Monkey and Snark. A fine set of rapper pedigrees for you to learn from. Please wear loose clothing and hard soled shoes if you have them, but not to worry if you don’t. Simply turn up and play. 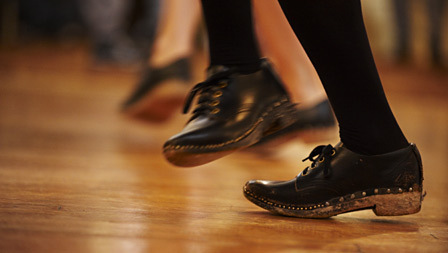 From 3:00pm until 4:30pm, the clog workshop will be run by Eilidh Smith, an experienced clogger and musician who will be teaching some simple hornpipe steps. Eilidh has a wealth of local and national experience and is keen to pass on some of the steps to beginners to see how they bite! Same clothing and footwear as the rapper workshop. Simply turn up and play as well. Some of you may have heard of Doc Rowe. If you haven’t, he’s an indefatigable collector and recorder of English folklore, song, traditions, and dance. 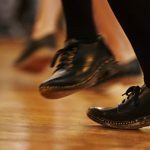 He was the photographer at the original run of Dancing England 1979 to 1987, and has put together a series of short films about some of the dancing he’s witnessed and been a part of in the past. We’ve also some stalls for you to peruse. So far we have Red Cow Music from York; a specialist folk instrument shop with repair service, lessons and accessories as part of their wide offering. 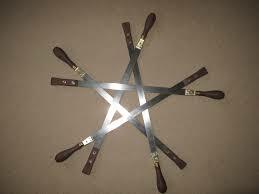 The One Stop Morris Shop will be there selling all sorts of Morris equipment and paraphernalia. You want bells? They got ’em. rapper shoes? same. Bowler and top hats? You catch the drift. Denise Bass has been a long time attender and supporter of Dancing England, and she will be bringing her batik creations for you to browse. She makes scarves, pictures and greetings cards using the traditional wax-resist method. There will be some exhibitions in the foyer too. Another announcement will be made this week on those. Be the first to comment on "Daytime workshops and foyer activity, stallholders and films day and night too."